Cassiopeia sp. known as the Upside down jellies are found living in mangrove lagoons around the world. 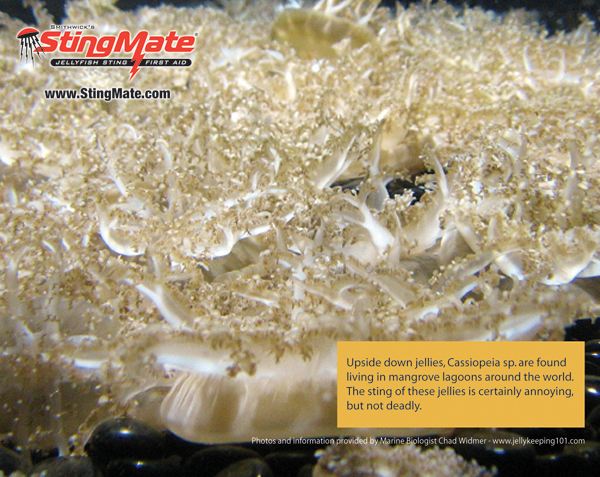 The sting of the jellies is certainly annoying, but not deadly….